Do you know how to recognize signs of liver disease? Inflammation is a symptom of the early stages of liver disease. When caught at this stage, the inflammation can be resolved and symptoms can cease. Liver inflammation may not cause you discomfort which is why it is hard to spot. The other three stages of liver disease do irreversible damage and are more serious. Luckily, you can catch liver disease early with regular health care assessments. As your largest internal organ, your liver is charged with a powerful task: to shield your tissues from damage and filter toxins from your bloodstream. Although the liver isn’t discussed as much as other organs, it is far from expendable. “Anything that keeps your liver from doing its job may put your life in danger," according to the American Liver Foundation. Don’t wait for symptoms to appear before you take action against the dangers of liver disease. 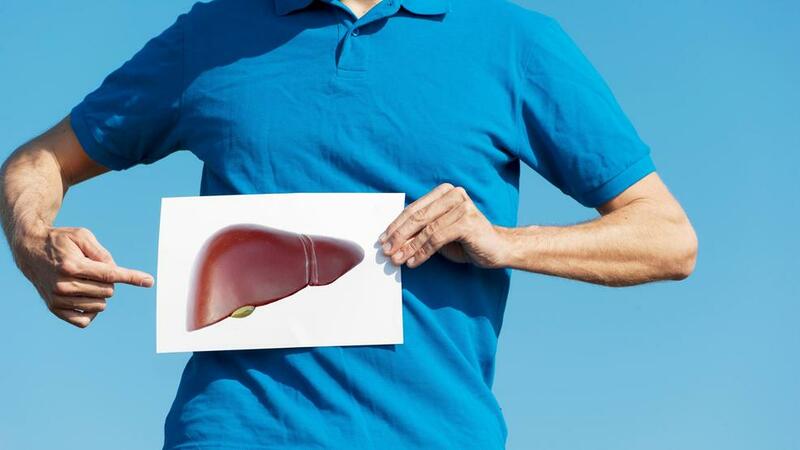 Each day your liver stays busy making bile; channeling nutrients from your diet; eliminating toxins from your blood; processing fats, alcohol and medications; regulating blood sugar and hormone levels; managing your iron supply and more. Liver tissue regenerates when it is damaged, allowing your body’s built-in filtration system to function without interruption. However, certain liver conditions can inflict permanent damage, threatening your short- and long-term health. Some conditions are even life-threatening. Without a functioning liver, you would die within 24 hours. The American Liver Foundation divides the deterioration of the liver into four stages: inflammation, fibrosis, cirrhosis and liver failure. Liver cancer is commonly caused by hepatitis B or cirrhosis but isn’t restricted to these two risk factors. Unfortunately, the symptoms of liver cancer often manifest in the most dangerous stages of the disease, according to the American Cancer Society. Take action at the first symptom so your doctor can offer a diagnosis and treatment plan. Assess your risk factors now with your doctor to prevent liver disease and cancer. Additionally, cirrhosis symptoms include bursting blood vessels that lead to your liver, sensitivity to medications, the development of Type 2 diabetes, and problems with concentration, memory and sleep. Hepatitis A: A contagious liver infection caused by the hepatitis A virus. Hemochromatosis: An inherited condition caused by excessive absorption of iron, leading to high blood iron levels and iron deposits in multiple joints. Hepatitis B: A serious liver infection caused by the hepatitis B virus; it's preventable with a vaccine. Cirrhosis of the liver: Chronic liver damage from a variety of causes, leading to scarring and liver failure. Liver disease in its serious forms threaten your life. By recognizing symptoms and identifying it in an early stage, you increase your chances for successful treatment. The experts at The Endoscopy Center can answer any questions you have about liver disease and can perform screening tests that might be recommended for you based on various risk factors. To learn more, visit endo-world.com.